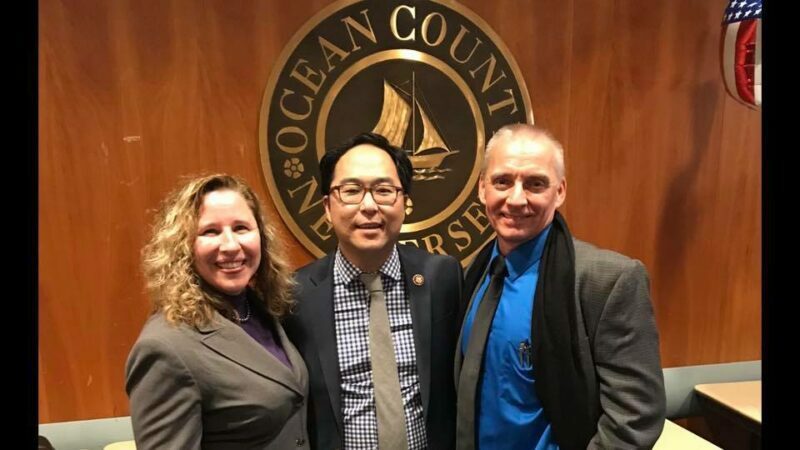 TOMS RIVER, NJ-Congressman Andy Kim, fresh out of his “inauguration” as some of his fellow freshmen say quietly snuck in and out of a Toms River meet and greet this weekend at the Ocean County Library’s Toms River Branch. Kim has drawn heat from both Republicans and his hardline progressive base after his first act as a congressman was to cast a vote for Nancy Pelosi as Speaker of the House. The event was only publicized to his 500 or so followers on Facebook and was attended by approximately two-dozen individuals, consisting mostly of those who worked on his campaign and local Democrat politicians, including Toms River Democrat councilmembers Laurie Huryk and Terrance Turnbach. Also in attendance was Marta Harrison, the Lakewood woman who powers the Ocean County Democrat party from behind the scenes, Democrat party chairman Wyatt Earp and Kim’s newly appointed Chief of Staff, former Toms River School Board “Clean Slate” organizer Ben Giovine. 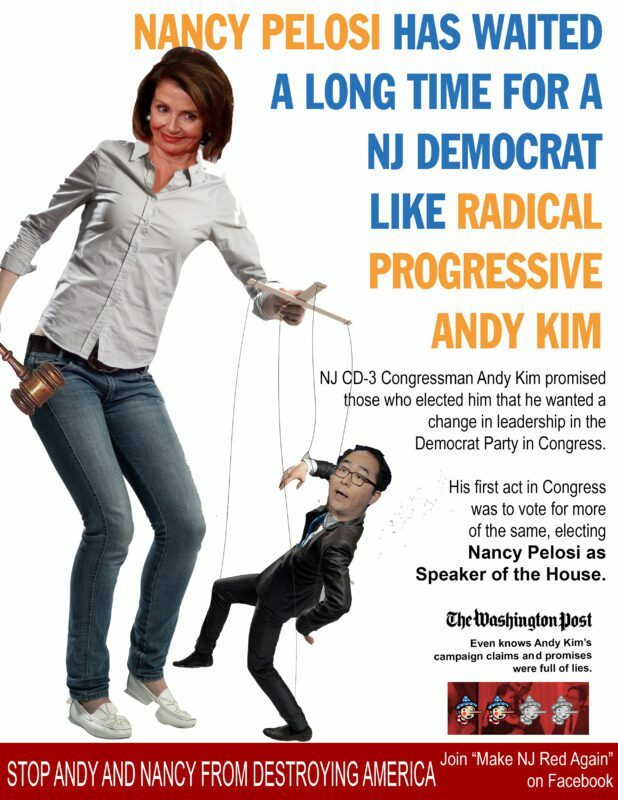 At the meeting, Kim said his vote for Pelosi was in the best interest of his constituents in the Toms River area and signaled that he would work with fellow Democrats on blocking the border security demands of President Donald J. Trump. 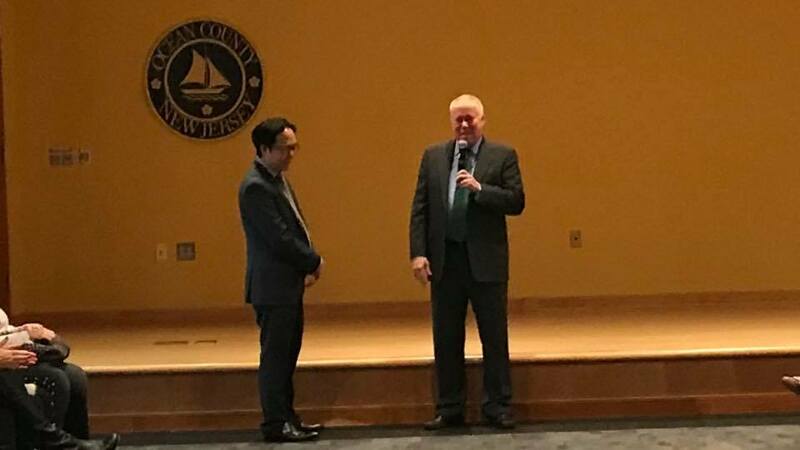 Although the event was held in Toms River, Brick Township Mayor John Ducey, a staunch Progressive Democrat, was invited to speak to the audience by the Kim administration. “This is personal, it’s not politics,” Andy Kim told the Burlington Times of his meeting with local Democrat leaders at the Library. Photos: by Toms River Councilwoman Laurie Huryk, Facebook. Top photo Councilwoman Laurie Huryk and Councilman Terrance Turnbach pose with Congressman Kim. Toms River and Ocean County Democrats pose with Andy Kim (R-L). 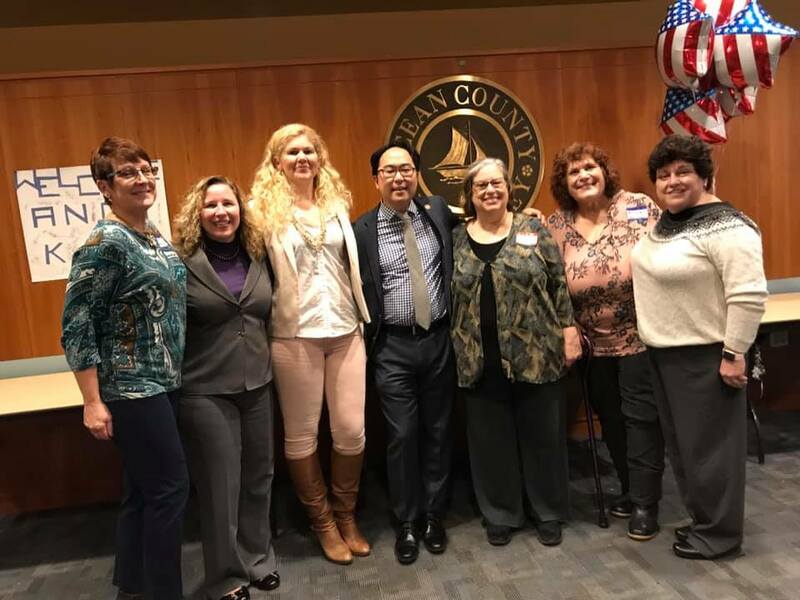 Unidentified Democrat, Toms River Democrat Councilwoman Laurie Harwyk, Emma Mammano of Brick, Radical, Progressive Liberal Congressman Andy Kim, Marta Harrison (Democrat Political Operative, Former Democrat Lakewood Mayor, Lakewood), Maryanne Clemente (Barnegat Democrat Chairwoman) and Eileen Dollavolle (Brick Democrat Municipal Committee Treasurer). Brick Township Mayor John Ducey MC’s the meet and greet held in Toms River with Radical, Progressive, Liberal Congressman Andy Kim.